Let's help the sugar cane farmers!!! The Sugar Crash Report launched by the Fairtrade Foundation examines how the recent decision of the European Union to abolish sugar beet production quotas from 2017 will affect farmers in the global south who’s livelihoods depend on the sugar cane production. The lobbying power of big manufacturers in the sugar commodity market, like the ED&F Man group, played a crucial role in pushing the decision. This company together with other major multinational firms argued that the restrictions on sugar beet, which were in place in order to meet commitments on market access for around 18 sugar producers in African, Caribbean and Pacific (ACP) countries, were keeping sugar prices high. This, they contested, was reducing their own profitability and competitiveness, and that of smaller companies too. “The major impacts are the sharp decline and severe volatility in price arising from the expanded production of sugar from EU beet growers in a market that is already over-supplied,” he says. “It is the livelihood of millions that depend on cane sugar cultivation and production that is being threatened. In 1993, the United Nations General Assembly designated 22 March as the first World Water Day. 22 years later, World Water Day is celebrated around the world shining the spotlight on a different issue every year. UNESCO published its own report centered on interesting case studies showing the importance of coordinated actions to implement strategies aiming at the sustainable use o water resources. 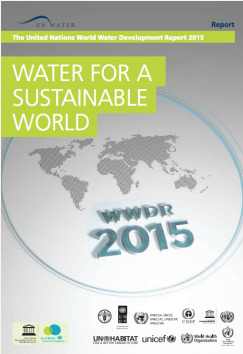 It also contains statistical data on the current situation of water resources at global and regional level. Access to water supply and access to sanitation, as shown in the chart below excerpt from the report, are those goals, among the others marking discrete results. Modern dynamics of consumerism substantially changed in the last decades. Nowadays, consumers are not simply led by economic choices when purchasing services or products. In a context of globally interconnected economies, it is more and more evident that ethical and moral principles play a determinant role in the choices of consumers. Awareness campaigns developed by charities and associations informed consumers on a number of cruel and aberrant processes used by companies to develop and sell goods involving the exploitation of natural resources, as well as, the killing and testing on animals to produce for example cosmetics, and animal derived products like eggs, milk, meat. Companies are becoming aware of this orientation of consumers and proper communication is vital to keep consumers informed on the efforts made, by small as multinational firms to cope with the rise sensitivity of buyers in a growing number of industrial sectors ranging from food to financial services and clothing. It is worth noting that, in the period under review, tax avoidance by companies had grown to become the second most cited reasons for boycotting after human rights.